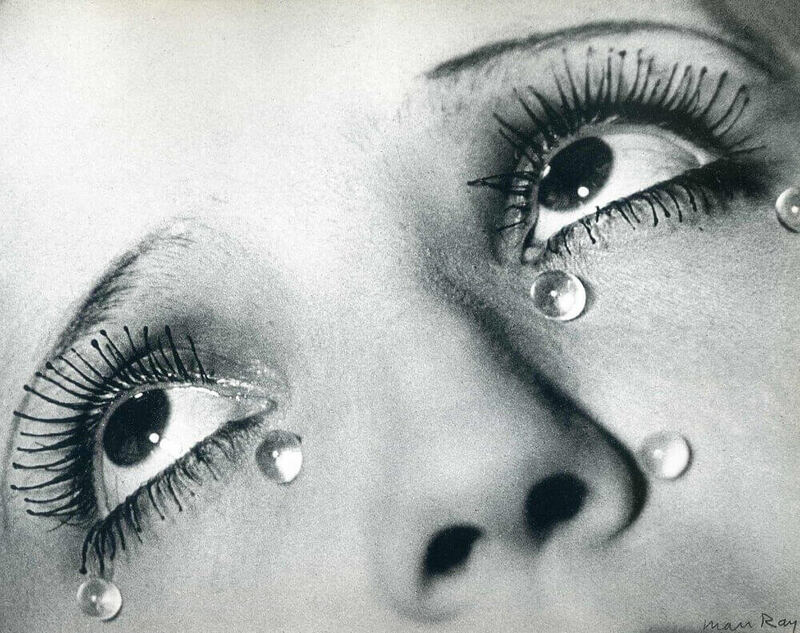 Looking almost like a film still, this cropped photograph demonstrates Man Ray's interest in cinematic narrative. The model's eyes and mascara-coated lashes are looking upward, invoking the viewers to wonder where she's looking and what is the source of her distress. The piece was created soon after the artist's break-up with his assistant and lover, Lee Miller. Ray created multiple works in an attempt to "break her up" as a revenge on a lover who left him (similar to Indestructible Object). The model is in fact not a real woman but a fashion mannequin with glass bead tears on the cheeks. Here, again, Man Ray is exploring his interest in the real and unreal by challenging the meaning of still-life photography.